For many Americans, the events of Sept. 11, 2001, are impossible to forget. Images of dark plumes of smoke billowing from the Twin Towers of the World Trade Center, of people jumping from collapsing buildings, of ash coated survivors, strangers just moments before, comforting each other as they flee from the area will be forever ingrained in our nation's collective consciousness. This year marks the 15-year anniversary of the Sept. 11 attacks and cities around the country will pay tribute to the lives lost that day. But along with official remembrance events, there are plenty of ways you can honor the victims, survivors, and heroes of 9/11 through a tribute of your own. On Sept. 11, 2001, militants from the terrorist group known as al-Qaeda hijacked four airplanes, pulling off coordinated attacks on the World Trade Center in New York City and the Pentagon in Arlington, Virginia, while the fourth plane went down in a field in Shanksville, Pennsylvania, after passengers stormed the hijackers. A total of 2,996 people were killed in the attacks with more than 6,000 others injured. It was a devastating day of loss that has left America forever changed. Here are 16 beautiful and heartfelt 9/11 tributes to remind us all why we should never forget. 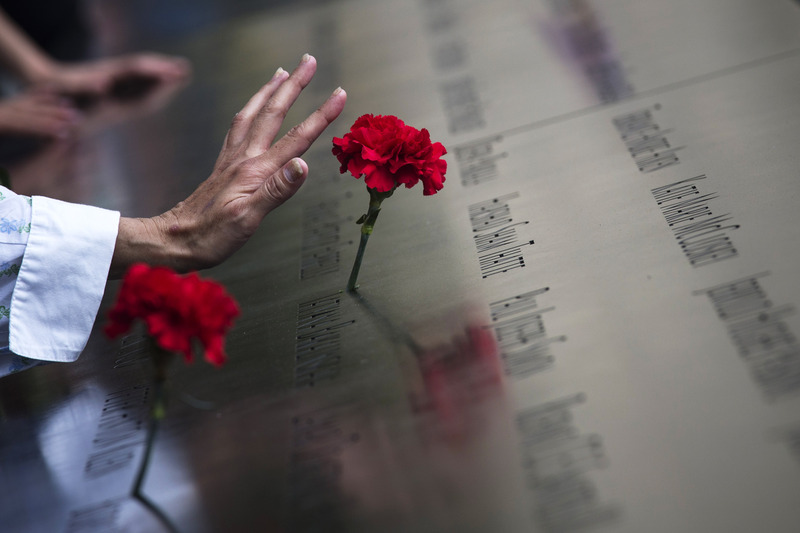 For many, the events and sacrifices made on Sept. 11 continue to weigh heavy on the mind. However, the anniversary isn't about reliving the tragedy. It's about remembering and honoring the lives lost and the ordinary men and women who became heroes for their country.